A windows service program which is running in the background to help you create an interactive flash e-catalog with turning pages for both online & offline use automatically! Convert your PDF to amazing digital publication in background. Create instant, formated digital magazines from your existing blog or RSS feeds . Allows automatic creation of bookmarks (outlines) form PDF. Flip PDF Services is a windows services program which can run in the background to realistic page-turning digital publications form PDF files automatically. You can use the service to batch transform your Acrobat PDF brochures to flash page flip brochures in sequence. Flip PDF Services can watch multiple folders (Include sub-folders) at the same time every few seconds, using different templates, different eBook features and formats and to process files in those folders instantly after detecting changing, it can convert PDF to flipbook automatically when the files are written into the specified monitored folders. Flip PDF Services is a lifetime license software solution for the design and implementation of online digital flip page publications. Flip PDF Services can convert your PDF publications (PDF catalog, PDF magazine) into dynamic digital editions with the look and feel of your original document. You will be able to utilize our cutting edge technology to easily create, upload, and host digital publications by yourself, in minutes. 15. Easy Navigation - Online publications look and read like traditional magazines with turning page. Search functions allow readers to find key words, phrases, or sentences; a convenient index and hyperlinks help readers locate information quickly; a zoom function keeps the pages crisp, smooth, and easy to read. 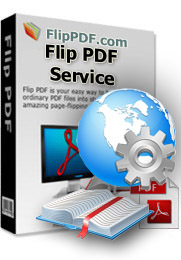 Flip PDF Service is a windows services program which can run in the background to convert PDF files to eBooks with turning pages automatically. You can use the service to batch build flip books with ease. Beside Flash version, all publications created by Flip PDF Service will also include HTML5 version. The readers will be able to open your flip page publication in any environment (PC, Mac OS, iPhone, iPad, Android, or Windows Mobile), and you can even publish at your Facebook page. Flip PDF Service supports analyzing and importing table of contents from PDF' bookmark. After that, you can edit the imported table of contents. If you want to create it by yourself, instead of importing from PDF, or your PDF does not contain a table of contents, Flip PDF can help you to create table of contents for your digital publication. Flip PDF Services can watch multiple folders at the same time, using different templates, different eBook features and formats. Then you can easy share online or send to other people via emails. Google Analytics Integrated features coming with this Flip PDF. If you have a Google Analytics account, you can make use of Flip PDF’s built-in functionality Google Analytics Embedding. The code of Google Analytics can be embedded to each book and all statistics will be available from your Google Analytics account live. Create, design, control and increase your marketing effectiveness using Google Analytics within the publications. 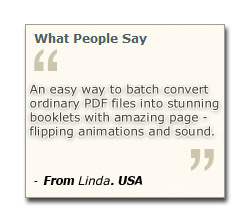 High quality Converting of PDF documents to flash flippingbook in background. 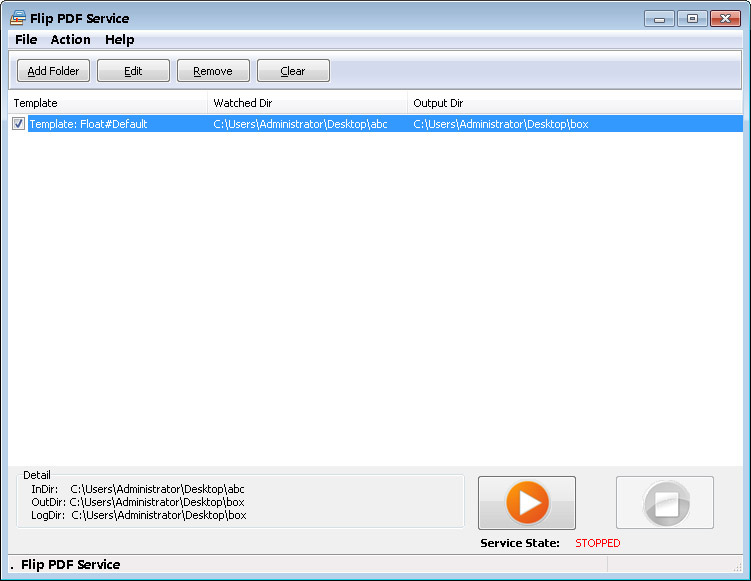 Run as Windows service to auto start after login your computer. 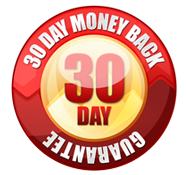 Batch convert multiple PDF files to a single or multiple page-flipping flash magazine at the same time. Import the bookmarks and text from original PDF files. Monitor different folders with different flip book settings. View output eBook with turning pages on iPad, iPhone and Android devices (slide single pages mode supported).